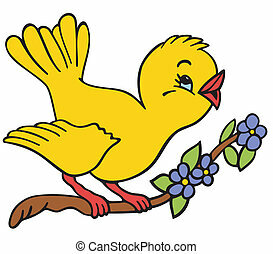 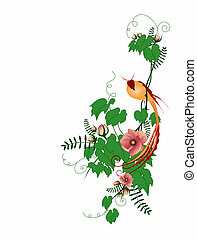 Bird sitting on a flowering branch. 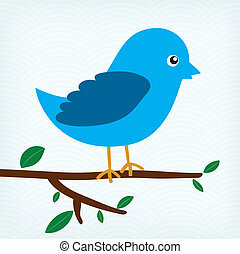 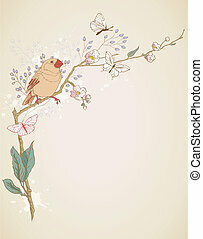 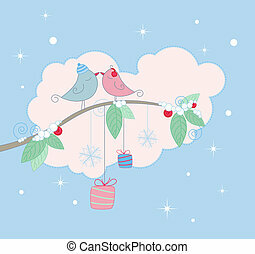 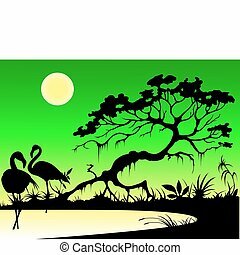 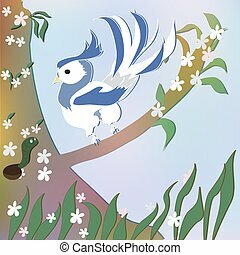 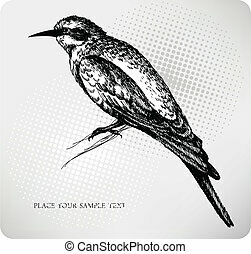 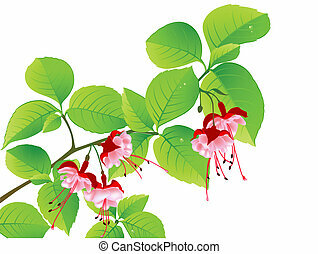 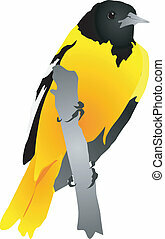 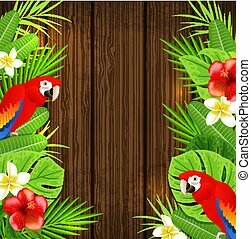 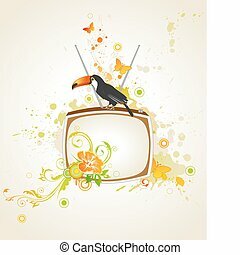 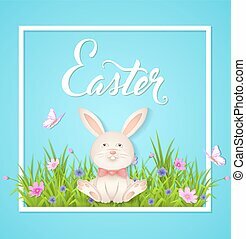 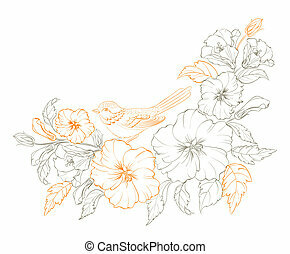 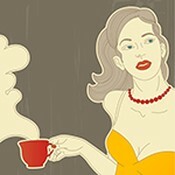 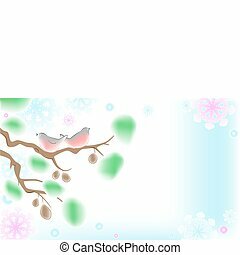 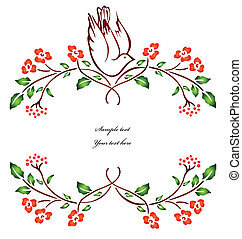 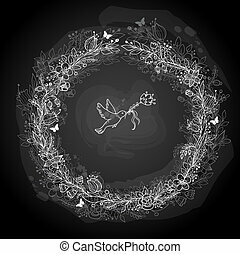 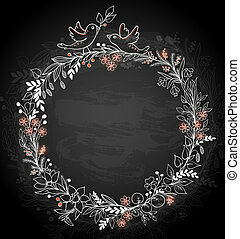 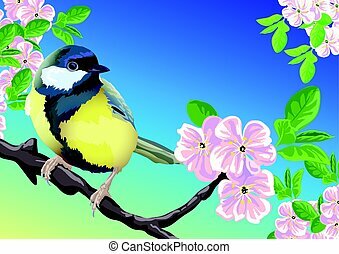 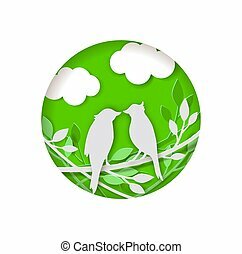 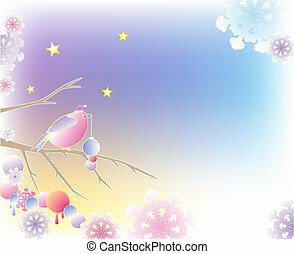 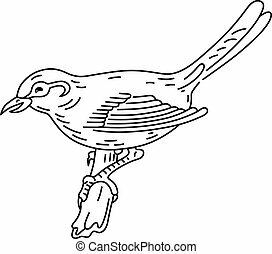 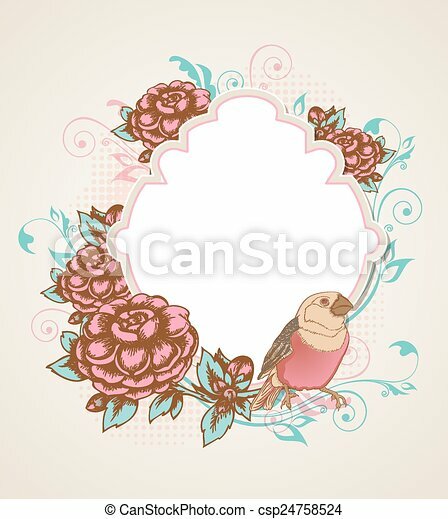 Vintage vector background with bird sitting on a flowering branch. 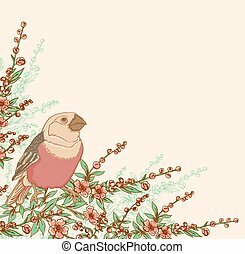 Bird Sitting On A Flowering Branch. 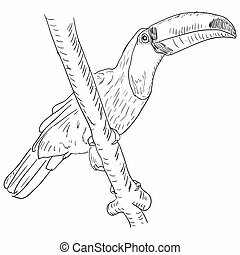 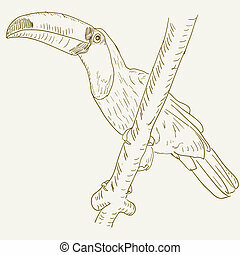 Toucan bird sitting on a tree branch. 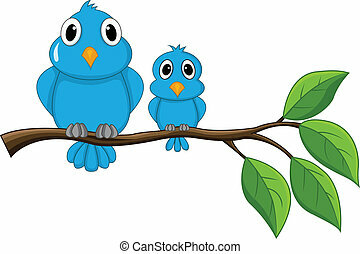 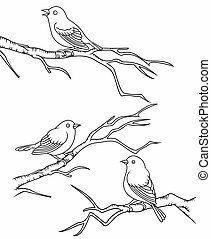 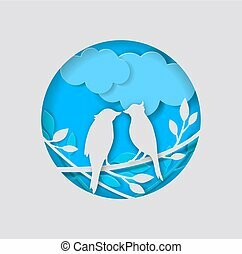 Vector two paper birds, clouds and branch on a blue background.